Don helped us get the home of our dreams!! He made the process less stressful and easy from start to end! We are so happy in our new home and would definitely recommend Don and his team to anyone looking!! EXPERTISE. I've known Don for my entire mortgage lending career and he is always working diligently for his customers whether it's selling their home or purchasing a new one. His attitude is that he will do everything possible to get the best price for the sellers & buyers. Don is very well known in the Sioux Falls area as he has been in Real Estate for over 34 years and still going strong. I would strongly recommend Don to anyone that needs to sell and/or purchase a home! I have had the pleasure of working with Don Dunham III multiple times over the past years. He was the selling agent when I purchased my first home in Sioux Falls, and recently assisted me when I decided to relocate, both in selling my existing home and purchasing a new one. I find him easy to work with, very professional, honest and hard working. He was always available to answer questions and offer advice when needed. He developed a great marketing plan to sell my house. I was able to sell the house at full asking price in the period of time I was looking for. I would definitely use Don again for any real estate transaction. Don and his team were great to deal with when we put our home on the market. They gave helpful suggestions prior to listing our home, provided the potential buyer's feedback after each showing and open house which we greatly appreciated, promptly answered questions, and thoroughly explained everything during the whole process. We felt that our needs were well cared for and recommend his team for your next real estate transaction. We have known Don Dunham for several years. Don is someone who is well experienced and knowledgeable. We appreciaetd Don providing us with things to look for in homes and educated us on areas that needed attention. I appreciate Don's sense of humor and personality. We had a great experience and we enjoy our new home. 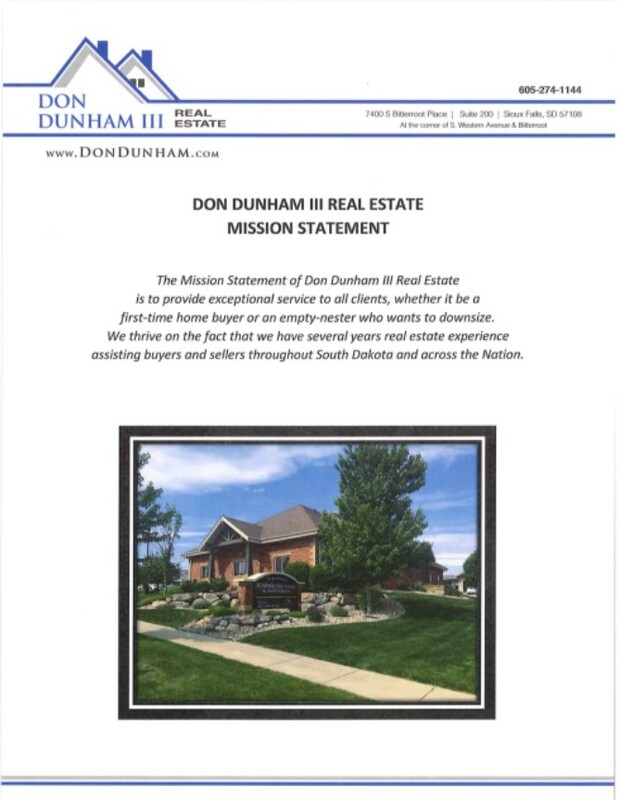 We would recommend Don and Don Dunham III Real Estate as a trusted professional business.